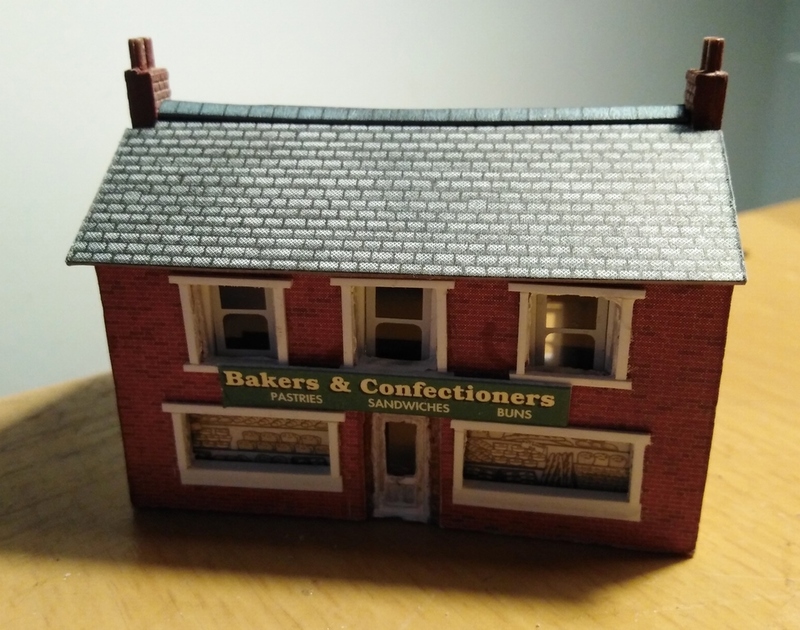 Anyone managed to do anything descent with their Kestrel Buildings kits, I have tried a few times but they always end up in the bin, anyone managed to produce a decent model out of one of their kits. There are several threads on the forum regarding Kestrel kits. They are cheap, and can be used for kitbashing. However, many of them are underscale. The townhouses, apartments, etc come to mind. However, they can be used as background distant buildings. With a good paint job, they can look presentable. 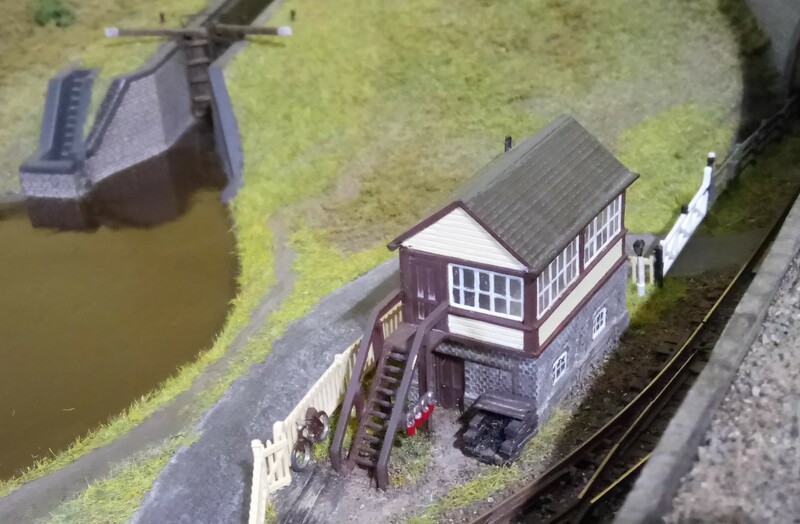 I modified a gatekeepers cottage which sits right on the edge of my layout, and I consider it one of my most atmospheric models. 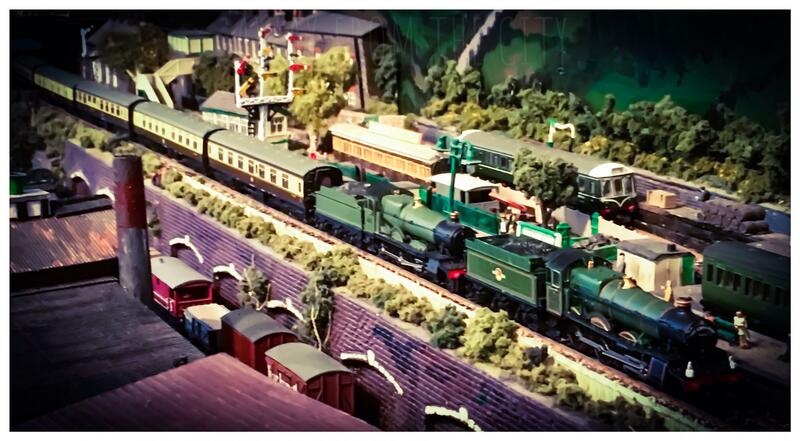 That is a cool signal box! I just spent an hour looking for the gatekeepers cottage I referred to above. Mind you, on me phone at club! That's not smoke coming from the chimney... it's a cobweb! I like them! I'm not so sure about the under-scale thing; or maybe it's just that I am more sensitive to other types (Metcalfe) being over-scale. Mainly they need careful painting; particularly painting door frames white (for more recent times anyway). An interior doesn't hurt. You can replace window frames for less chunky ones if you like; I haven't bothered. As most of my existing buildings are Metcalfe, which are known to be over scale, well the houses are, and with Kestrel being a bit under scale, I thought I would try to blend the Kestrel in with the Metcalfe buildings. My scratch building skills are not that good and that along with poor eyesight, I did the best I could. I covered the walls with Metcalfe Red Brick paper and used some leftover metcalfe windows. and obviously replaced the roof with some metcalfe roofing left over. Still got a bit to do but quite pleased with the conversion. I like it Paul. The sash windows work well, and the sign board looks good too. And a good feel to the whole thing. Looks good Paul and a good example of how to kit bash. Well done, mate. You can be proud of that. 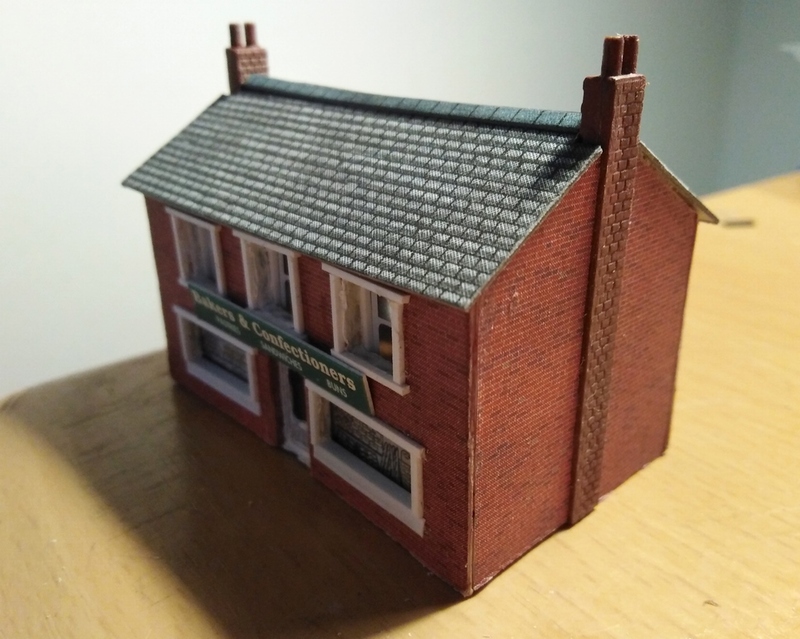 Kestrel buildings can be a useful basis for enhancement and kit bashing. 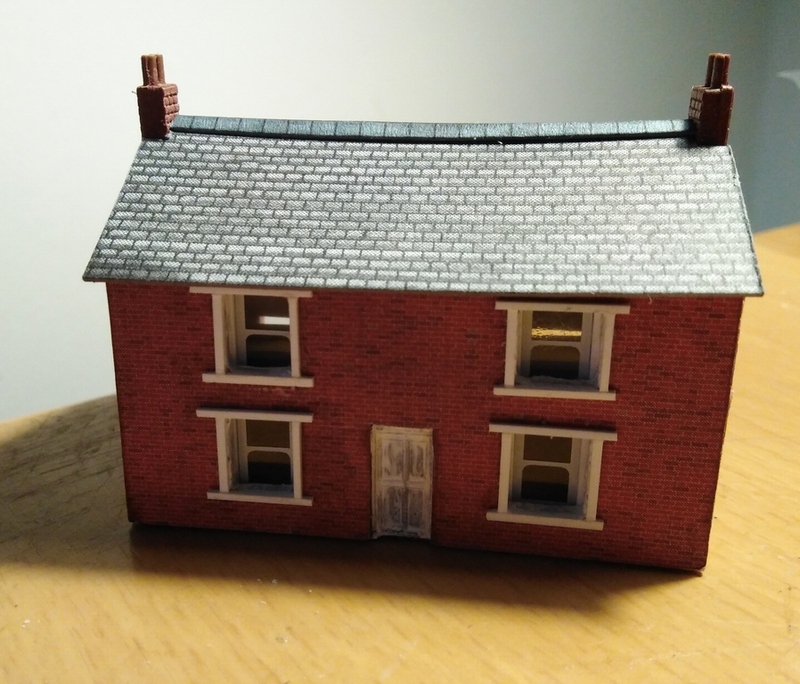 I do a reasonable amount of scratch building therefore have measured real buildings as a comparison and do find that scaling on Kestrel kits is inconsistent. For example their terrest houses are under scale but their semi-detached house is not far off the real standard generic house you see everywhere. 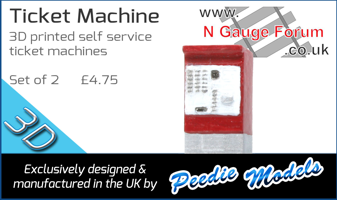 Some of their kits are very poor in look such as the signal box, others are good such as the small industrial unit. The issue I find with Kestrel is the need for a level of fettling and adjustment to get good results therefore a reasonable level of kit building skill is required. 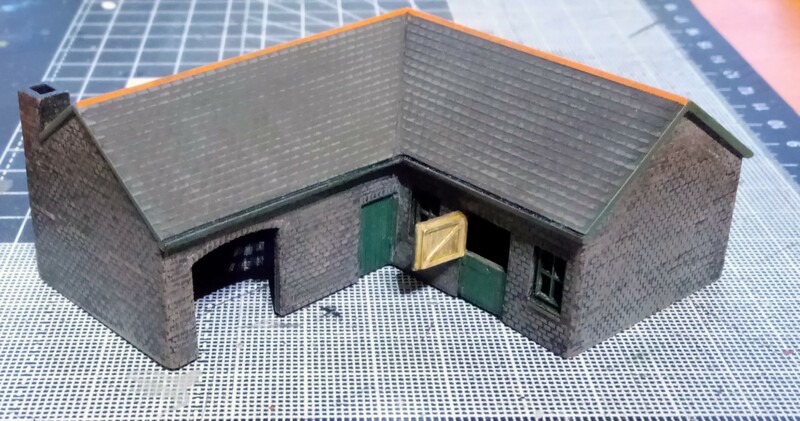 Here's a new smithy/stable for my colliery layout, kitbashed from Kestrel Stable and Barn kits. Some downpipes and window glazing to do. Nice bit of bashing Mike, looks very convincing. Thanks Cas - borrowed this approach to colouring the stonework.